Valentine’s Day is this week! Happy Early Valentine’s Day! 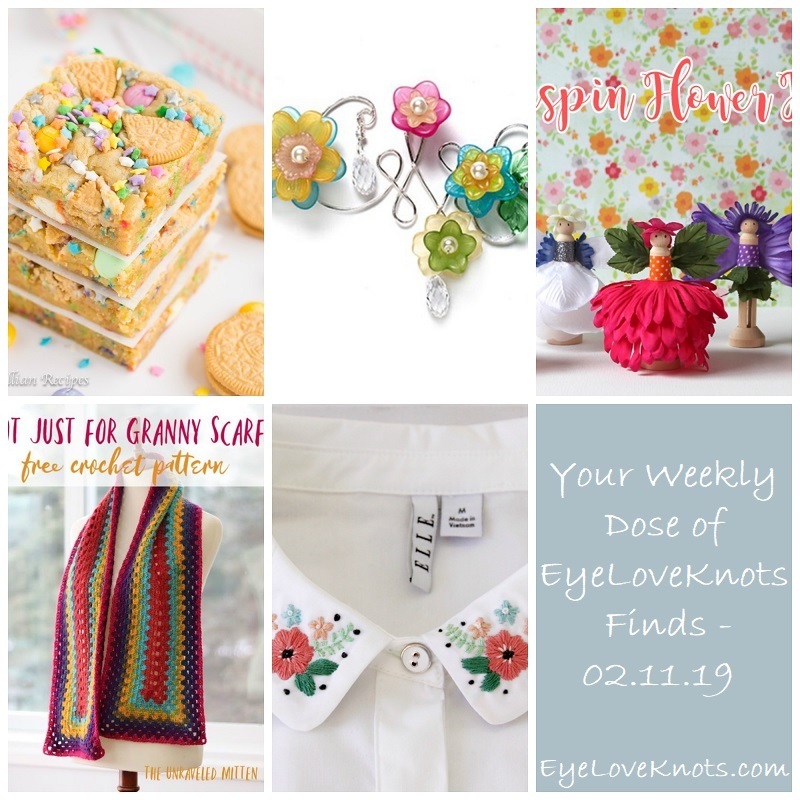 I am moving on to Springy finds! OH.MY.GOSH! 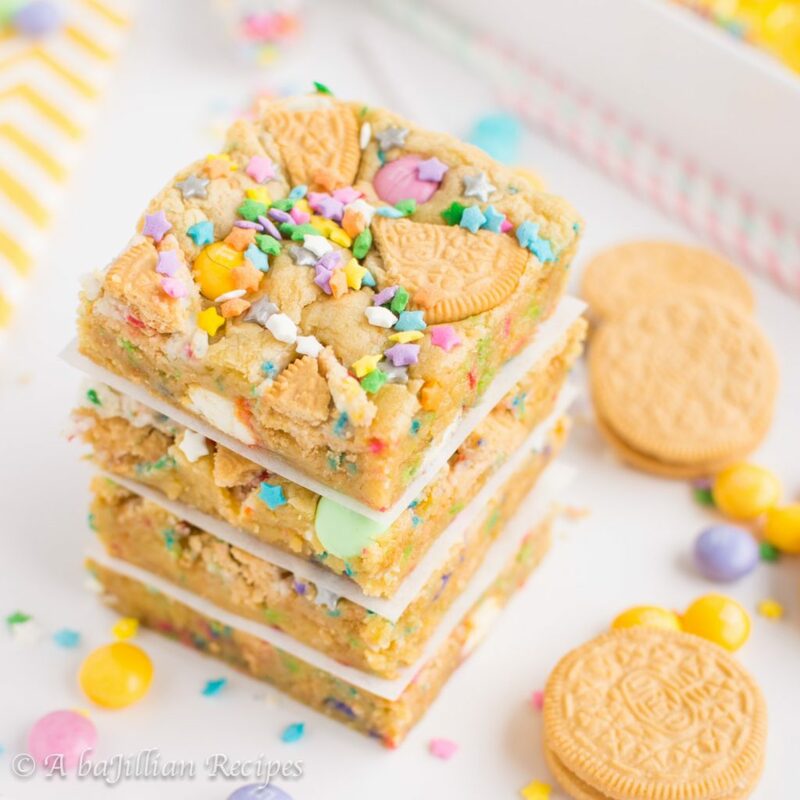 These cookie bars look, and sound incredible! I wish I had the ingredients on hand – I’d make them right now! Birthday cake Oreo’s, Vanilla Cupcake white chocolate M&M’s, and soft cookies? Yes please! Facet’s page says to “design your own flower bed”, and “then grow your garden by planting…”. This paired with the visual really tell a wonderfully, cheery story. The dew drops hang from some of the flowers, but that’s just adds to the beauty! 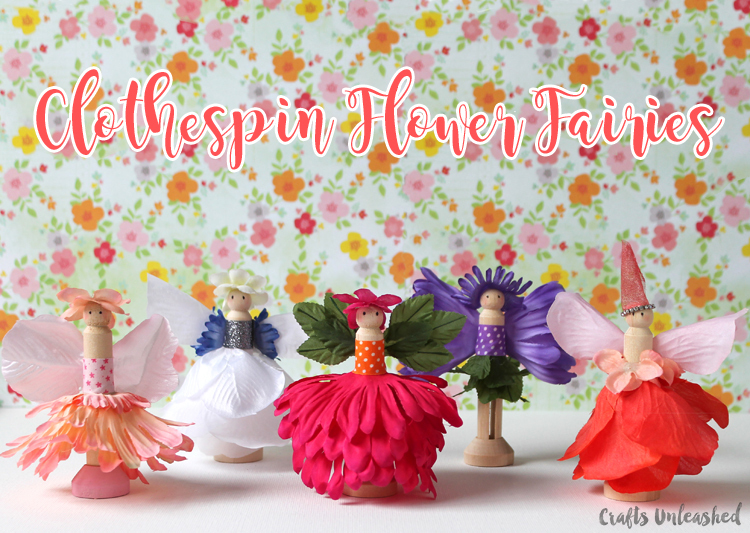 How fun are these clothespin fairies? Five very different fairies shown, but endless possibilities! 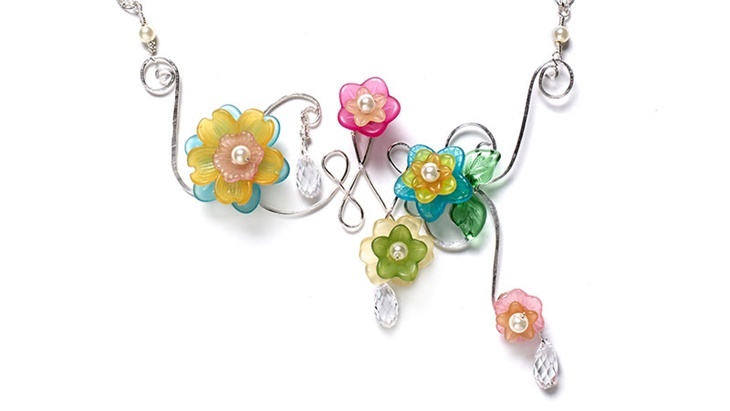 I am having trouble picking a favorite from here… I really like the white skirt one in the back because of the shape the petals create, but hello leaf wings in the front center! Too cute! The moment I first laid eyes on this scarf (I think it was on Pinterest), I was in love! 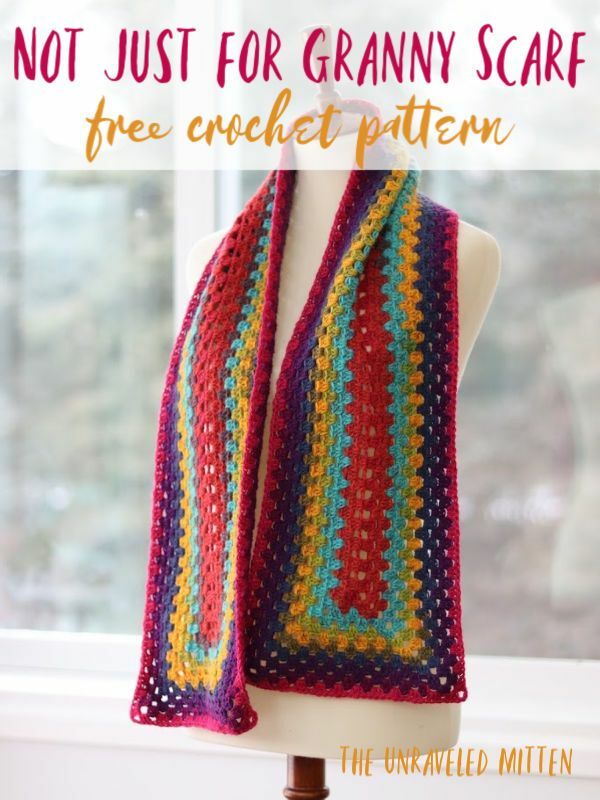 The color changes are perfect, and the granny stitch pattern is classic. The best part? It’s made with one cake of yarn! 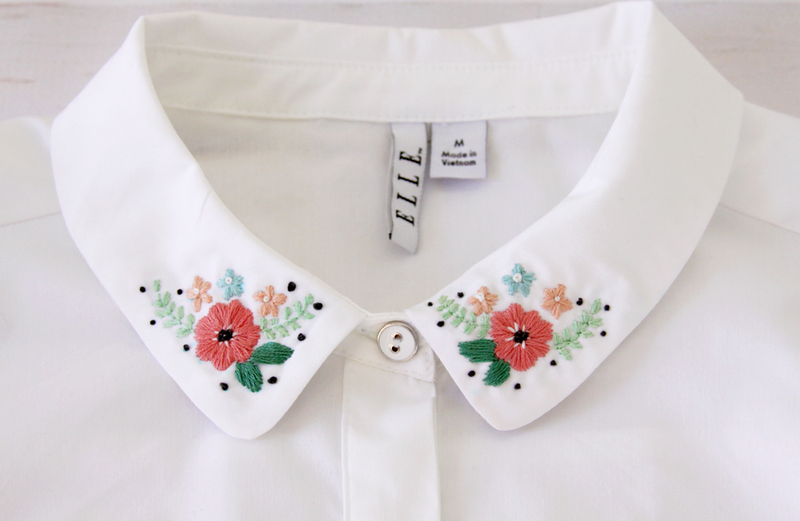 What a fun way to dress up a plain blouse, and very retro, yet right on trend! I don’t wear any shirts with collars like this, but imagine embroidered onto a breast pocket? I am sure you could also use this technique to embellish a pair of pants, a jacket, or even a hat.